Walk behind hardwood floor and deck sanding. Sands inline with grain of wood using a rolling drum action. Good production with a variety of sandpaper grits. We will provide a quantity of sandpaper and you just pay for what you use. Weight 115 lbs. 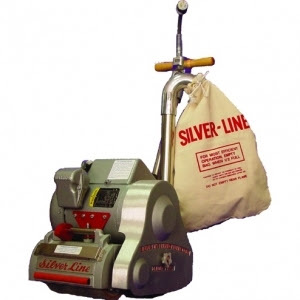 * Please call us for any questions on our drum sander / bag rentals in Calgary, Alberta.